What is workin' for me lately are these great mashed potatoes that I got at Costco. They are instant! Gasp - did she say "instant"? She's eating those artificial flakes full of preservatives? No, no my friends! These are instant real mashed potatoes. All-natural Yukon gold potatoes. 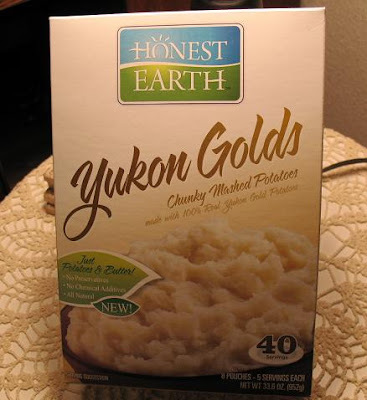 The ingredients listed on the box: Yukon gold potatoes (with peel), and butter. Yup! That's it! And they do taste great. I especially love how fast the prep is - so nice to have quick mashed potatoes, but good for you at the same time! Now I have nothing against making mashed potatoes from scratch, but this is a nice alternative to have on hand for us busy moms. Sadly, I am not getting anything from Costco or anybody else for endorsing these - no free Costco membership, no lifetime supply of Yukon Golds - sigh - LOL!! I know these have been in Costco for quite some time - guess I am a little slow. Have you already had them? 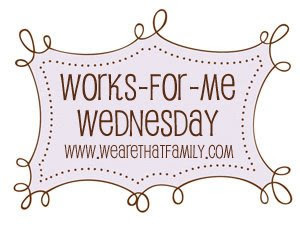 For lots more Works-For-Me-Wednesday tips, stop by We Are THAT Family! P.S. 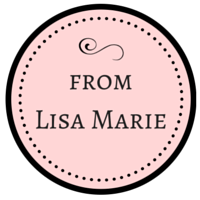 I'm over at Chic Critique today with a Spring Cleaning (your cosmetics, not your house!) post. 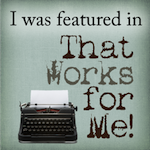 Please leave me a comment over there and say hello! We don't have costco in Ireland. I'm afraid when I'm busy I resort to the old fashioned box of E numbers (now with added potato). Will you send me a box? The closest Costco is over 50 miles away. LOL. I would have to try them to believe they are good! LOL. But I would get them just based on your recommendation! See how much I value your opinion? Hee! Hee! The pic on the box looks delicious! But I don't have a Costco near me either. But maybe they have them at BJs. I'll keep an eye out for them. Take care my friend! Hope you have a great Wednesday! Wow - my hybby would be so happy that I found an instant potato I could live with! Oh! 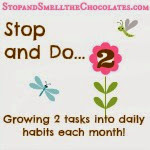 Good tip! I'll be trying these out! I make really crummy mashed potatoes. They're always lumpy. And I've never found an instant version that was any good. Those look great! I am going to have to try them. I DON'T HAVE A COSTCO, BUT I HAVE BEEN USING HUNGRY JACK FOR ABOUT A YEAR AND LOVE THEM. YOU SHOULD HAVE SEEN MY OLDEST SISTER ROLL HER EYES AT ME WHEN SHE FOUND OUT. THEN SHE TRIED THEM. THINK I'LL POST ABOUT IT.